You have probably heard about the threat of fires and explosions linked to methamphetamine labs, but did you know that producing a potent form of marijuana poses a similar danger? Experts in our region have linked a number of area explosions to the production of marijuana “honey oil,” also known as “hash oil” or “dabs.” The threat of injuries linked to honey oil explosions is a growing concern for our San Francisco burn injury lawyer. Whether you favor full legalization, medical use only, or a total ban on marijuana, you need to know about this threat since it endangers both those involved in the drug market as well as mere bystanders. This week, ABC7 reported that fire officials suspect Monday night’s explosion of a home in Petaluma may have been sparked by butane gas used in the production of honey oil. Just after 9 PM Monday, firefighters were called to a home near the corner of La Cresta and Haven drives. At the scene, fire officials found light smoke along with signs of an explosion, but no active fire was present by the time the residence was cleared for entry. Police report they questioned but did not arrest the only resident who was home when the explosion occurred. Luckily for him, that resident suffered only minor injuries. Fire officials report that the explosion caused about $10,000 in damage. The cause remains under investigation, but fire officials say they believe the explosion was tied to the production of marijuana honey oil. KCRA explains that odorless, invisible vapors released by the butane used in honey oil production can easily ignite due to a cigarette lighter or even static electricity. The result can be a massive explosion. Authorities suspect honey oil production was the cause of several area fires, including a Nevada City house fire that left two injured in May and a 2014 apartment fire that injured three in Walnut Creek. Officials warn they are seeing more and more innocent victims including children, family members, and neighbors and that first responders are also at risk. In fact, at the time of the article’s July publication, UC Davis Medical Center and Shriners Hospital for Children were treating more victims from suspected hash oil blasts than from car wrecks and house fires combined with victims making up about 10% of the burn center patients. Per a specialist, the victims often have massive, deep burns that require skin grafts and endanger the patients’ lives. As this week’s fire illustrates, the danger has certainly not passed. 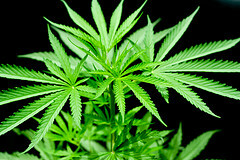 In September, SFGate.com reported on a suspected hash oil explosion in Santa Rosa that injured one man. On October 1, the Sacramento Bee reported on the arrest of three people on drug manufacturing and child endangerment charges tied to a suspected honey oil manufacturing explosion. Officials said that event was the 17th suspected butane hash oil case investigated by the Sacramento County Sheriff’s Department in 2015. In November, according to KRCR, seven children were home when a butane honey oil explosion rocked Oroville in Butte County. Luckily, the children were not injured. Several sources note that Governor Brown signed a bill in August to make manufacturing either hash oil or methamphetamine in a residential area an aggravated felony as of January 2016. Whenever an explosion caused by someone else’s negligent or intentional actions results in injury, the victims deserve compensation. Serving all of Northern California, our burn injury law offices in Oakland, San Francisco, and Santa Rosa are here to help the growing numbers of bystanders injured in butane has oil explosions and other drug manufacturing-related incidents. 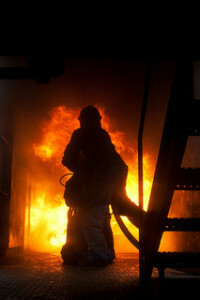 Call or use the form on this page to contact our experienced Northern California burn lawyer. Money can never reverse an injury, especially injuries as serious as major burns, but it can help begin the process of moving forward from tragedy.